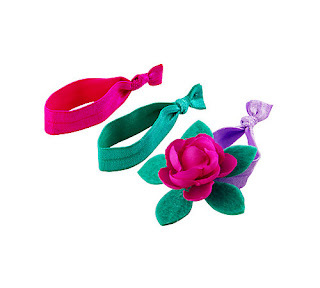 Goody Girls Hair Accessories are the perfect way to add a new spring style to your little one's hair! As the mom of 3 girls I know sometimes it's difficult to get everyone's hair styled and ready for the day. Although, one thing I've noticed over the years, is that when I do we all seem to have a pretty good day. Doing my girl's hair in the morning is an awesome way to spend some quality time together that we both enjoy. 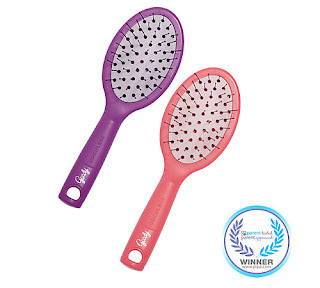 To make it more enjoyable you may want to get your hands on a Goody Ouchless Hairbrush. It's a lifesaver for this mom of 3 girls! We brush each other's hair, talk and then pick out what Goody Girls Hair Accessories we want to wear for the day. 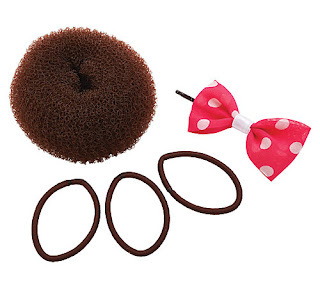 Now, I have to say that I'm not the greatest at styling hair but Goody Girls Hair Accessories are simple to use and some, like the Goody Girls™ Bun Makers kit actually have directions that are super easy to follow. 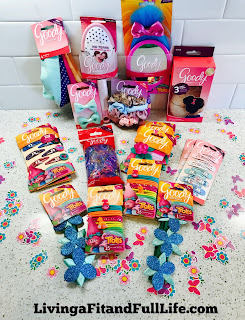 Goody Girls Hair Accessories also make terrific gifts for birthdays, Easter, Christmas and so on. I know my girls love seeing anything from Goody on their special day! 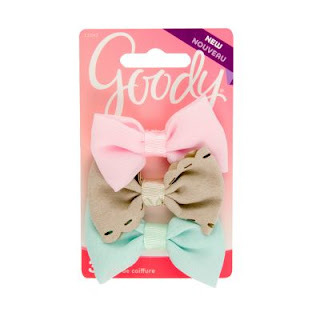 Goody Girls Hair Accessories are absolutely adorable and I highly recommend them! From the playground to the classroom, the Goody Girls Chiffon and Scallop Salon Hair Clips are perfect for managing bangs, layers and loose hairs. Featuring three pastel colors, these hair clips are great for wearing alone or finishing any look. 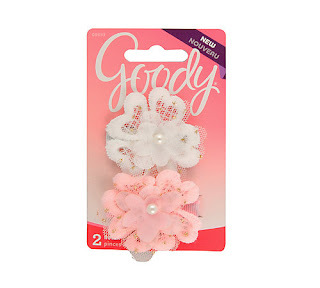 Create super-easy styles that girls will love with the Goody Girls Salon Hair Clips. Featuring a flower lace design with pearl accents, this hair accessory is stylish and helps keep growing bangs out of her face. 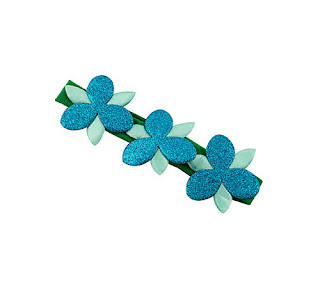 From the classroom to special events, she’ll love showing off these hair clips. 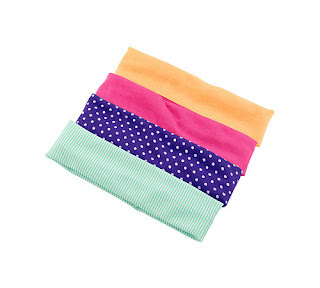 Goody Girls Ouchless Headwraps help her stay stylish while controlling bangs, flyways, and loose hairs. Made with soft fabric, each headwrap is comfortable for all day wear. From the playground to the classroom, these pastel colored headwraps are gentle and perfect for girls with fine hair, curly hair and everything in between. No Tears For Mommy Or Me! Have a hair-ific day just like the fun characters from the animated movie Trolls! The Goody Trolls Glow-in-the-Dark Headwrap helps you stay stylish while controlling bangs, flyways and loose hairs. Comfortable enough for all day wear, this headwrap glows in the dark and features a fun print with Fuzzbert, the troll made of just hair. Day or night, this hair accessory helps you look trolltastic! DreamWorks Trolls Copyright 2016 DreamWorks Animation LLC. All rights reserved. Create any style from pigtails to braids and ponytails with the Goody Trolls Hugtime Ribbon Hair Elastics. These soft and stretchy ribbon hair ties won’t pull or snag hair and is comfortable enough for all day wear. Includes a special ribbon hair elastic with a flower charm that mimics the Hugtime watch that every Troll wears! DreamWorks Trolls Copyright 2016 DreamWorks Animation LLC. All rights reserved. Have a hair-ific day just like Poppy from the animated movie Trolls! The Goody Trolls Poppy Flower Sparkle Headwrap helps you stay stylish while controlling bangs, flyways and loose hairs. Comfortable enough for all day wear, this bright-colored headwrap featuring Poppy’s signature blue flowers adds instant style to any hair style and outfit. So go ahead, throw your hair in the air like you don’t care! DreamWorks Trolls Copyright 2016 DreamWorks Animation LLC. All rights reserved. These new kits feature all the essentials to help you achieve beautiful hairstyles simply and effortlessly. Upgrade your braid, get beach waves, or try one of our innovative styling tools, such as the Spin Pin and the Faux Bob Maker. Each Goody Simple Styles Kit also comes with instructions and inspiration on how to achieve a certain look on the pack, with just 3 easy steps. Want a long-lasting, no-metal elastic that won't pull or snag hair? 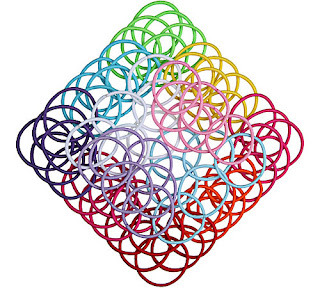 Goody Girls Ouchless Elastics are designed for great hold without sacrificing comfort. They are perfect for girls with fine hair, curly hair or senstive scalps, and come in fun colors and sizes she'll love. 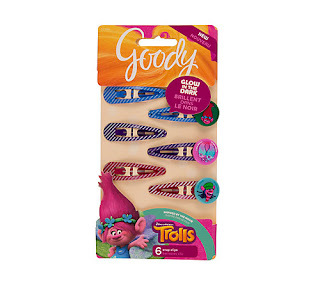 Create any style from pigtails to braids and ponytails with the Goody Trolls Braided Elastics with Charms. 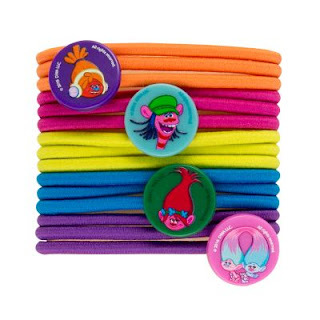 Featuring four fun charms with characters from the animated movie Trolls, the no-metal braided elastics won’t pull or snag hair for all day wear and hold. With a variety of bright colors to choose from, these hair ties make it easy to throw your hair in the air! Did you know…Goody® has been making hair look fabulous for over 100 years? 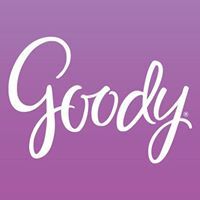 Goody Products has spent the last century delivering innovative styling tools and fashionable hair accessories to women everywhere, so they can look and feel good about their hair without compromising style, quality, value or comfort. Inspired by the latest trends and innovative technologies, Goody brings you revolutionary styling lines and accessory collections, from Ouchless® and SlideProof™ elastics to Clean Radiance™ brushes. Click HERE to sign up for the Goody G List for Insiders to receive hair tips, tricks and trends, insider information, coupons and more.! Click HERE to find a store near you that sells Goody hair accessories! Click HERE to learn more about Goody! Follow Goody on social media!